Consoles like the Xbox One and PS4 are more than mere gaming devices these days, they are full media hubs for your living room. With your console connected over wi-fi to your home internet connection you can access TV services like Netflix or BBC iPlayer in full HD. And it is also possible to connect them to your Android phone or tablet. If you’ve got movies, TV shows or a collection of videos you have shot yourself—as well as your photo album—on your Galaxy S5, HTC One or other Android device, you can stream them to your console to view on the bigger screen. There are a few apps on the Play Store that help you do this, using the DLNA technology. 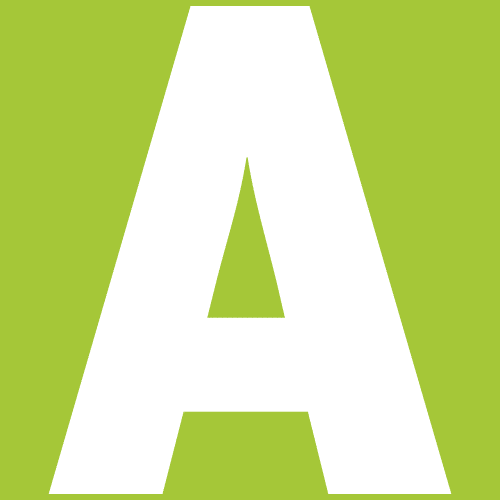 AirSync is arguably the best example. It will connect your device to iTunes on your desktop and a host of third party speaker systems as well as your console. AirSync isn’t free, though. Skifta, on the other hand, is. Skifta has recently been discontinued, and isn’t as good looking as AirSync, but it’s easy to use and still works very well for streaming all of your content to your Xbox or Playstation console. Update: Skifta is no longer available through the Play Store. We now recommend iMedia Share Personal to stream from Android to your console. Click here to jump to the section on iMediaShare Personal. Head over to the Play Store to download and install the Skifta app. It is compatible with all Android devices from Android 2.2 and up. Launch the app and then wait for a few minutes while it initialises, updates and connects to your wi-fi network. The first step is to select the source where your media files are stored. This will be the phone or tablet you are currently using, although other compatible products may also appear in the list. Tap the name of your phone in the list to select it. Next you need to choose the device you want to stream the movie, image or other content to. If your PS4, Xbox One or other console is connected to the same wi-fi network it should appear automatically in the list. Tap the console name to continue. 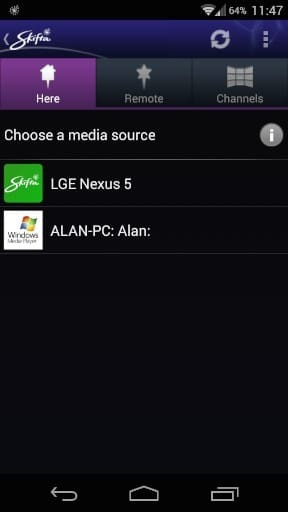 Finally you need to browse your device to locate the media files you want to stream. Select the movie file from the list. Your screen will go blank and after a short delay the movie should start playing on your TV via your console. Do remember that streaming media is only as good as your network, so HD files may cause a certain amount of stuttering on a less fast network. Close down other apps and services using the network for best results. Although Skifta has been discontinued it still works for local streaming—you won’t be able to use the Channels feature for extra content. It’s still available through the Play Store, although doesn’t show up in searches, and may be removed at some point in the future. Download it now! 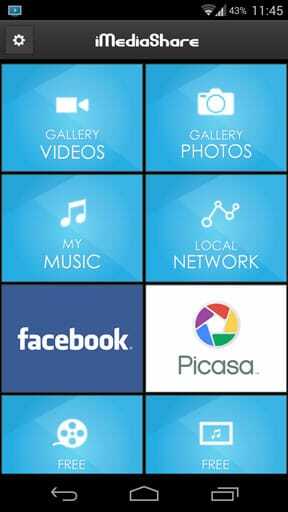 Download and install iMediaShare from the Play Store. The app is free. As with Skifta, you will need to have the app connected to the same wi-fi network as your console. Launch the app and from the main screen select Gallery Videos. 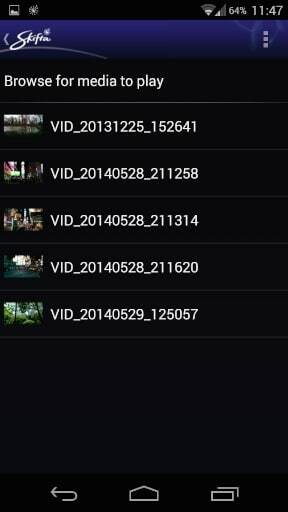 At the bottom of the screen tap All Videos to see all the video files stored on your phone. Tap the one you want to stream. In the next screen you’ll see the Choose a Screen option. You should see all the compatible devices connected to your network listed here, including your console. Tap the name of the console to begin streaming the video. 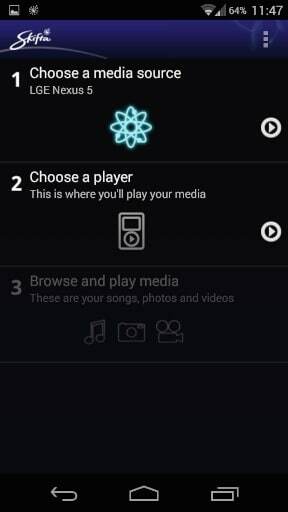 You can also stream local music and photos using the app, as well as content from Facebook. There are also options to download free movie and music video services too.